Canary Flex is the second home security camera launched by Canary. It is a compact and weatherproof device capable of indoor as well as outdoor use. It can either be plugged in to a power source, or run on battery. 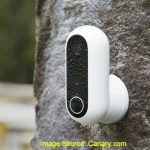 The canary Flex is a weatherproof security camera with 1080p image sensor, night vision and motion sensors that can record video when motion is detected. It also has built in microphones and speakers for two-way talk (however that feature is not yet enabled). It comes with rechargeable 6700 mAh lithium ion battery which provides around two months of battery life. The Canary Flex ships with a magnetic mount which makes installation a breeze. You can either place the camera on a horizontal surface or hang it on a wall. The magnetic mount holds the camera in place, so you can position it in any way. 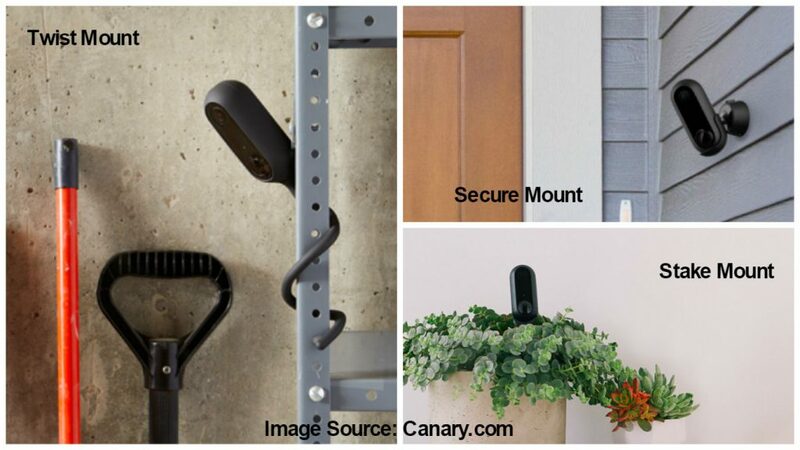 Users can also buy optional mounts are also available that you can buy which will let you place the camera almost anywhere – the Twist mount that can wrap around objects, the Stake mount for setting it up in your garden and the secure mount to prevent theft when placed outdoors. While the Twist mount and the Stake mount are both available for $19.99 on Amazon.com, the Secure mount can be bought for $29.99. While the Canary Flex is one up on portability, it lacks the siren and home health sensors that were available in the original Canary. The camera has IP-65 rating, which means it can withstand dust and splashes of water, and can operate in temperatures ranging between -4o to 113 o F, making it capable of outdoor use. 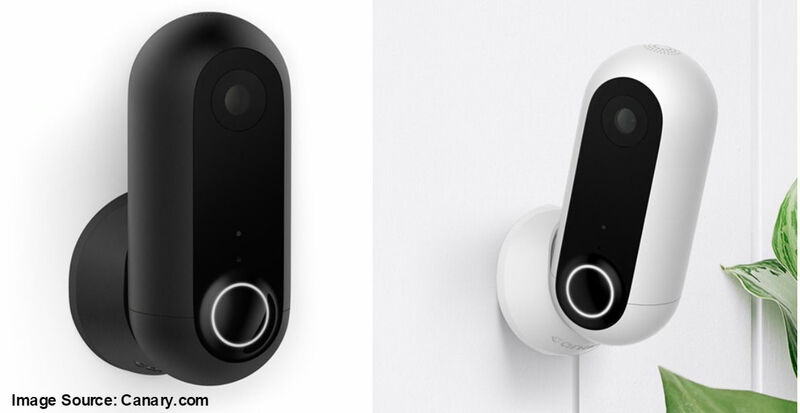 It has a 116o field of view, which is less than the Netgear Arlo cameras and the Nest Cam Outdoor, but better than the Ring Stick up cam. Setting up the home security camera is pretty straightforward. The camera connects to your home Wi-Fi network via dual-band Wi-Fi (802.11 a/b/g/n). All you need to do is install the Canary app on your smartphone and connect the Canary Flex via Bluetooth LE. Proceed to connect to your Wi-Fi network, and you’re good to go. The app lets you monitor the camera’s battery status, watch live video, change modes and check your video feed timeline. The Canary Flex is currently on sale at Amazon.com (MSRP $199). With the Canary Flex users can access the last 24 hours of you recordings for free. Canary also offers a $9.99 membership which provides 30 days of video history with unlimited downloads, insurance deductible reimbursement up to $1,000 (for qualifying incidents), 24/7 incident support for home theft events and 2 year extended warranty.